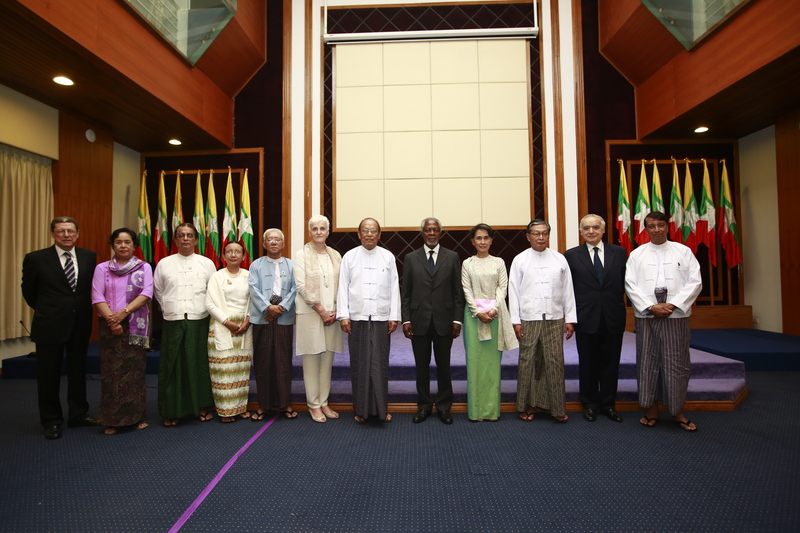 At the behest of the Ministry of the Office of the State Counsellor of the Republic of the Union of Myanmar and in collaboration with the Kofi Annan Foundation, the Advisory Commission on Rakhine State has been founded as a neutral and impartial body which aims to propose concrete measures for improving the welfare of all people in Rakhine state. It is composed of six local and three international experts, and is chaired by Kofi Annan. In its work, it considers humanitarian and developmental issues, access to basic services, legal questions including citizenship and the assurance of basic rights, and security to all people in all communities. It will submit its final report and recommendations to the Government of Myanmar in the second half of 2017. Further information and updates on the work of the Commission may now be found on its official website, where the final report will also be made available in due course.